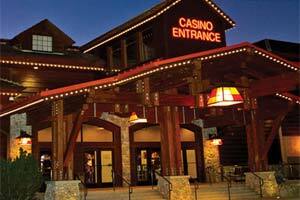 What are the best family friendly hotels in Lake Tahoe? 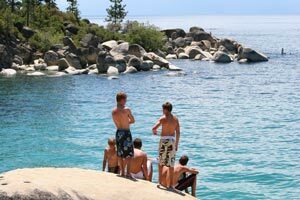 Everyone knows that Lake Tahoe is an awesome place to take the kids - with unbeatable outdoor activities and fun things to do, so grab the kids and enjoy a trip to Tahoe with the whole gang! There is a plethora of family friendly hotels in Lake Tahoe, and sometimes it’s impossible to tell which is a shining star, and which will have you saying ‘I wish we had just camped… even if it is snowing’. Sift through the possible hotel regrets and enjoy these ideas for top kid friendly hotels! So...which hotels in Lake Tahoe are kid friendly? February 7, 2014 9:00am PST – The National Weather Service has issued a Winter Storm Warning for the Greater Lake Tahoe Area in effect through noon on Saturday 2/08/2014 and a Winter Storm Watch in effect late Saturday through late Sunday 2/09/2014. 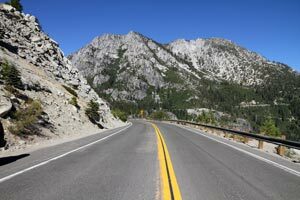 Where Are the Best Places to Stop While Driving Around Lake Tahoe? Grab the picnic basket and hop in the car this winter while vacationing in Lake Tahoe and take a nice leisurely drive around the Lake. While it seems counter intuitive to sit in the car after a long trip to Lake Tahoe, driving around Lake Tahoe is one of those things you can’t miss. Grab the whole family and pile in the rental and enjoy incredible views, breathtaking nature, and all the cute towns in between stopping spots. There’s nothing better than a vacation with friends and family and no better way to stay in Lake Tahoe than in an amazing vacation rental. However, it can be difficult to organize your group and a hassle to collect money from everyone. SplitVR.com has the solution! Easily pick the perfect vacation rental, everyone pays their share and the property is booked! It's as easy as that. 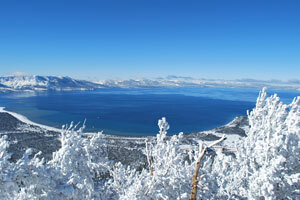 Lake Tahoe in the winter (and summer, and spring, and fall…) is absolutely breathtaking. 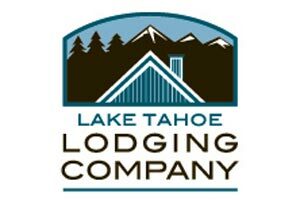 From pristine mountain air to the beautiful shimmering Lake, Lake Tahoe breathes fresh air into anyone passing through… and Lake Tahoe Lodging Company provides the perfect accommodations for a much needed getaway. With vacation rentals in South Lake Tahoe, these guys provide incredible options for a vacation of any size. Lake Tahoe is sparkling with the crisp beauty of winter in the Sierras, and now is the time to book a winter getaway to the ski mecca of California/Nevada! 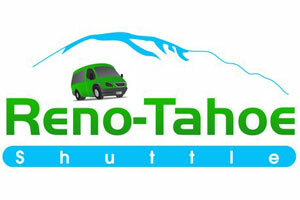 With so many details going into a vacation, don’t sweat the transportation details and use Reno-Tahoe Shuttle Service to enjoy smooth traveling and a stress-free trip. Lake Tahoe weddings have a special air to them - maybe it’s the pristine natural beauty, or maybe it’s the romantic stillness of the Lake. What makes the magic is irrelevant, so long as it’s enjoyed. 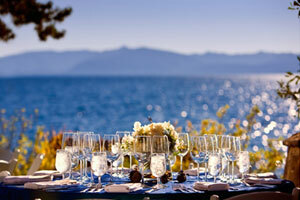 Summit Soiree uses the magic of Lake Tahoe to make the most of the endless possibilities, and takes pride in providing incredible service to create the perfect event (be it a wedding or corporate event). From organizing each detail to vast knowledge of the area (and its possibilities for events/weddings), Summit Soiree has us swooning for their incredible events. Cold weather and a major winter storm blanketed Lake Tahoe with more than 2 feet of new snow late last week and over the weekend. Colder temperatures and the storm everyone has been waiting for finally hit the Lake Tahoe basin bringing with it fresh powder and happy faces. There are seven alpine ski & ride resorts now open, with several more set to open soon, and two nordic (cross-country) resorts open. Interstate 80 and Highway 50 are both open as is the Reno-Tahoe International Airport. Everyone is always talking about their winter vacations to South Lake Tahoe, but why not explore outside the basin this year and discover everything Carson Valley Inn has to offer. Carson Valley Inn boasts incredible panoramic views of the Sierra Nevada Mountains with easy access to the slopes in South Lake Tahoe. With extensive renovations in 2010, the newly revamped Carson Valley Inn is not only in the perfect location (at the foothills of majestic mountains), but has the charm and sophistication that we love. 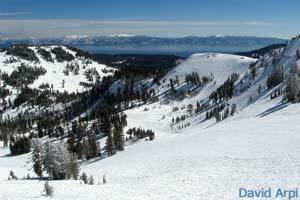 There is snow on the ground in Lake Tahoe and the ski resorts are starting to open. An early season snowfall in October got things started and temperatures have remained cold enough for snow-making equipment to pump out more white stuff and build up the base. Boreal (as usual) opened first on November 1st. 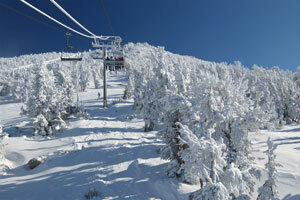 Here is an updated list of the Lake Tahoe ski report opening dates for 2013 – 2014 ski season. Happy trails. Boreal Mountain Resort (North Shore) - OPEN!